Impressively refined with a smooth ride. Metal folding roof means it's as quiet as a coupe. AMG versions are brutally fast. Doesn't feel particularly special given the price tag. Comfortable rather than outright sporty. Steering lacks feel. 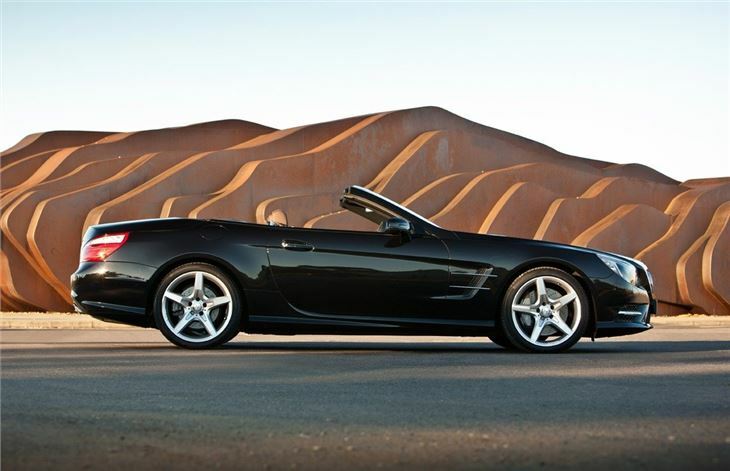 The archetypal grand tourer, the Mercedes-Benz SL boasts a pedigree that few grand tourers can match. Launched in the 1950s in its maker’s pursuit of Le Mans glory, the SL has matured into one of the best two-seater sports cars money can buy, with an opulent interior and powerful range of engines. 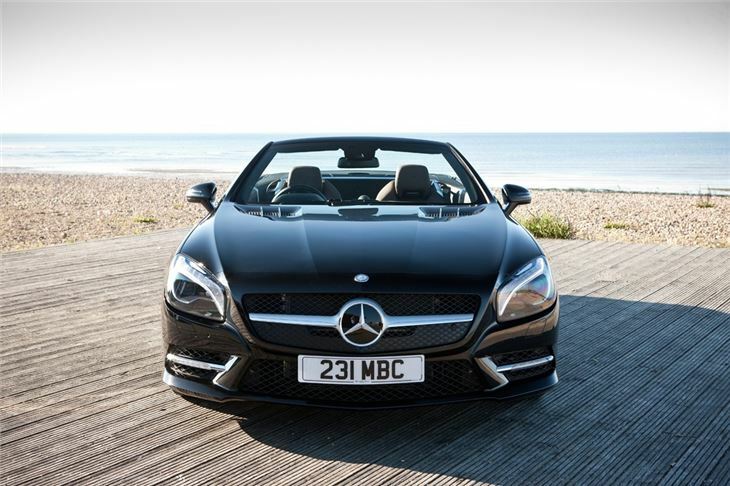 The sixth generation SL was launched in 2012 and is built almost entirely of lightweight aluminium – a first for a volume production Mercedes-Benz – which means the car is 25 per cent lighter than its all-steel equivalent and more ridged. Mercedes-Benz has also made significant weight reductions with the folding roof, seats, suspension and running gear. 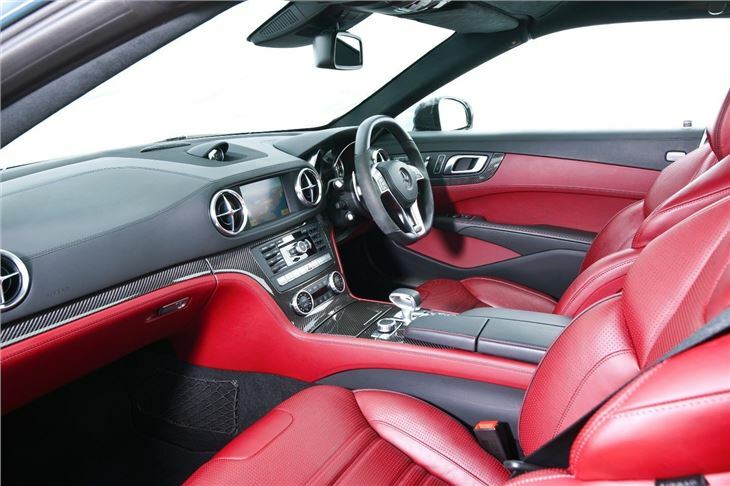 The interior of the SL is a lavish and opulent affair, with deep leather seats, soft touch materials and brushed aluminium trim. 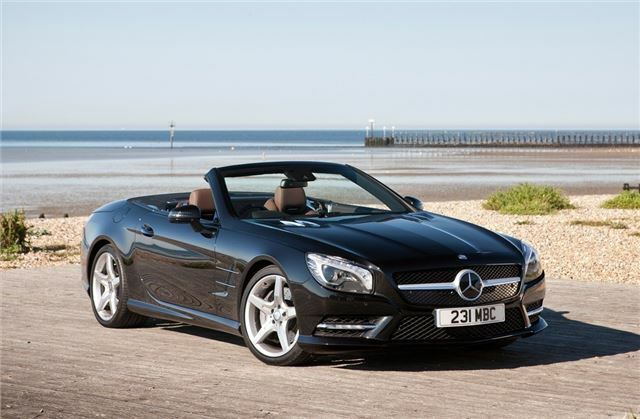 Both the driver and passenger get acres of space and the SL is ideal for long trips, with plenty of room. Admittedly, things get a little blustery with the roof down, but the optional wind deflector improves things no end. The retractable roof is also easy to use, folding away neatly into the boot at a press of a button, leaving a respectable 364 litres of storage. The engine line up consists of four options, including two AMG models, ranging from 306PS to 630PS. The 0-62mph sprint can be covered in as little as 4.3 seconds by the V8 biturbo while the naturally aspirated V6 will achieve that target in 5.9 seconds. The SL350 and naturally aspirated V6 was phased out in April 2014 and replaced with the SL400, which uses a V6 biturbo with an increase of 27PS. All of the engines are mated to a seven-speed automatic, with four driving modes, which span from comfort to full on throttle-blipping racing. 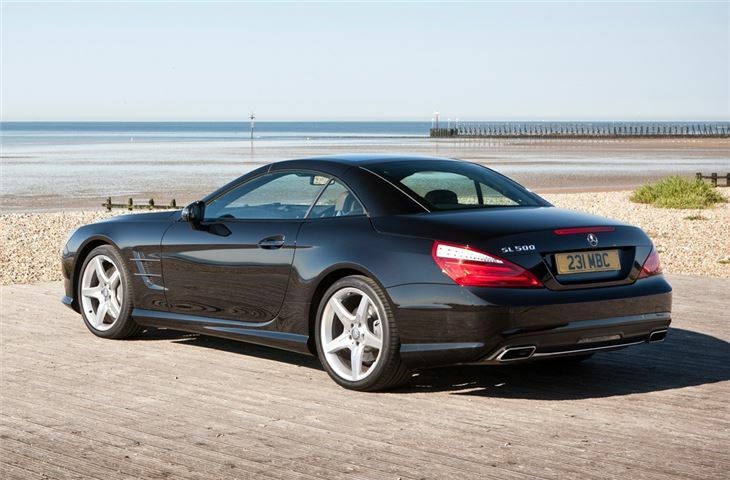 However, regardless of which mode you choose, the SL is always surefooted and predictable in its handling. Admittedly, the car feels more comfortable as a gentleman’s cruiser, but it will still answer a need for speed. Only the AMG versions can rival the Porsche 911 or Maserati Granturismo. 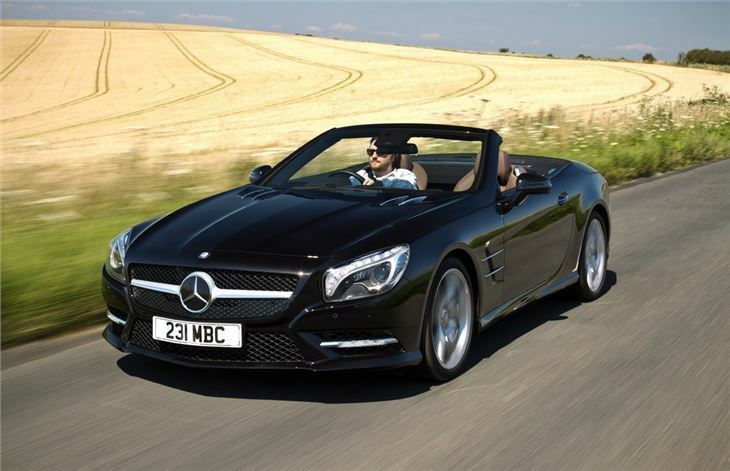 As with all great things, the Mercedes-Benz SL is expensive and prices for the entry level SL400 start at £70,000 while the brutal AMG versions will set you back upwards of £100,000.